The government has high expectations of governing bodies. They are the strategic leaders of our schools and have a vital role to play in making sure every child gets the best possible education. For schools such as ours this is reflected in the law, which states that the purpose of governing bodies is: ‘To conduct the school with a view to promoting high standards of educational achievement at the school’. The governors bring a wide variety of experience and expertise to the school, and this helps ensure that the school is moving forward and standards are constantly raised in a way that is in line with the overarching ethos and vision of the school, along with the statutory directives from the Department of Education and The Archdiocese of Southwark. This impact statement summarizes our role in the development of our school and its pupils over the past year, and provides an opportunity to be transparent about what we do. The governing body was re-constituted in July 2015. Four Co-opted Governors (currently includes the 2 Associate Head Teachers from each school, 1 member of staff and 1 governor). The standard term of office for a governor is four years. Parent and Staff governors serve a two year term. The Chair and Vice-Chair are elected annually at the first meeting of the academic year. Committees to review pupil exclusion, hearings and appeals are convened on an ad hoc basis as the need arises. Governors visit each school as part of their monitoring of the SIP (School Improvement Plan) and of specific issues such as attendance and behaviour. Governors participate in monitoring visits and produce a visit report. Governors with specific responsibilities also spend time visiting each school each term to look at learning/teaching and to meet with children and staff. In this way, governors’ understanding of the school is greatly strengthened. Feedback on all visits is given to the Full Governing Body meetings and this allows all governors to be kept informed about progress, and also to be aware of any concerns that need to be addressed. Governor Plans this year have included appointing an attendance Governor at St Mary’s who will meet with the Head Teacher to further analyse the schools own attendance information to ensure this is strong. All members of the Governing Body receive training through Wandsworth Council Governors Service and attend events run by external bodies such as the Archdiocese. This allows us to keep up-to-date with our responsibilities with regards to the latest requirements and expectations, as well as local and national Best Practice. Governors review all relevant policies throughout the academic year to ensure that all guidance is current and up to date. HeadTeacher and School Business Manager. The chair and members of the resources committee drives the financial management of the school and ensures that the school is fully compliant with financial expectations. The impact of the Governors’ role in the school ensures that the budget is managed effectively and improvements are effective and continuous and contribute strongly to positive pupil outcomes. Notable improvements to the learning environments, buildings and the school grounds. Highly effective staff recruitment and deployment as well as outstanding professional development. An engaging curriculum with new resources such as the ‘Power of Reading’, ‘Bug Club’ and ‘Big Maths’. Governors monitored, advised and supported a successful handover of Phase 2 of the Building work at St Mary’s. Governors attended 2 extraordinary Governor meetings with the Developers related to the new building. The building was officially opened and blessed by the Archbishop of Southward during its Opening in September 2017. Governors also monitored the building work for the new Entrance at Sacred Heart ensuring that all aspects were met around health, safety and security. The co-chairs presented to their peers in the Wandsworth area in January 2018 with a talk on the Federation process. Handover of co-chair position from Mr John Hallmark to Mr Rex Wickham took place in September 2017. Parent & staff governor positions were filled. The Governing body continues to focus on school improvement. Detailed School Development Plans have been agreed for each school in the Federation and progress is reviewed termly by committee and at the full Governing board meeting. Particular attention is given to progress of disadvantaged pupils and that the Pupil Premium grant is spent efficiently. Ofsted – Ofsted visited both St Mary’s (June 2017) and Sacred Heart (April 2018) and rated both schools Good. Governors met with the Ofsted inspectors on both occasions for extensive and detailed discussion. 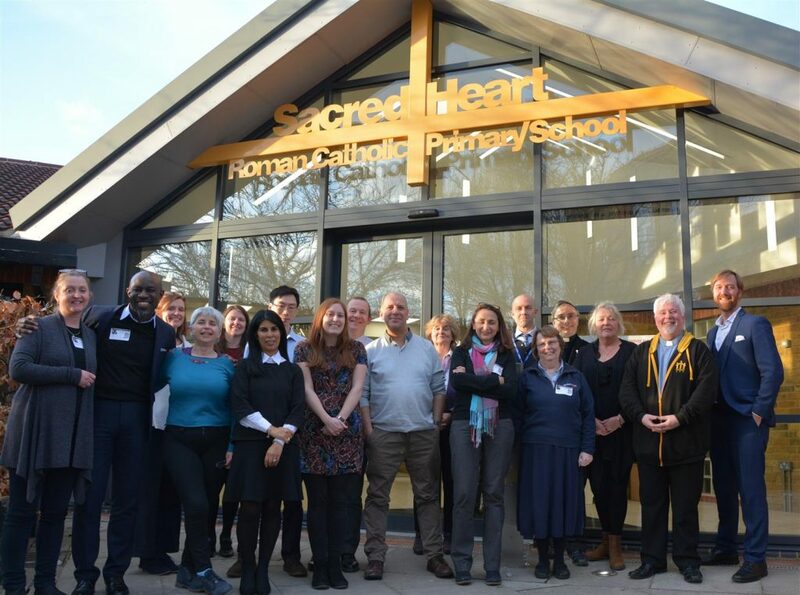 For St Mary’s came shortly under 2 years of the Hard Federation forming and was achieved with clear signs of the benefits of the Federation and support from Sacred Heart staff and governors. A strategic review process is underway for the Governing Board. This includes a skills audit and will result in a strategic plan to provide a longer term set of goals for the Federation. Consultation undertaken on Admissions criteria at both schools. Governors continue to work closely with the Leadership team and plans to ensure that all children achieve to their highest ability with that reflected not only in their results but also their behaviour and approach to life. We always welcome suggestions, feedback and ideas from parents. Below, you can see the full list of governors, their attendance at meetings, minutes of governing body meetings and more information about what Governors’ do.